As the end of the year approaches, everyone is thinking about what to do for final exams. If you're like me, you feel a strong distaste for matching, multiple choice and fill-in-the-blank (though wouldn't it be SO MUCH EASIER to grade?!). In this post I'm going to share five ways to abandon the three hours of silent pencil scratching in favor of a creative closing event. Give your students something memorable that helps them take what they've learned from your class forwards in their lives! How literature helps people understand their own lives. How literature helps people understand the lives of others and empathize with other people. How literature makes it easier to understand history. How literature illuminates issues of morality. Have the students write the speeches at home and then present them during the exam period. Meet outside somewhere beautiful on campus, or reserve a beautiful formal room if you have that option. Then either have all the students read their speeches or divide into groups and have them read to their small groups. I like to give them a listening handout for this day, in which they nominate the best speeches and defend their nominations. One year I showed "Stranger than Fiction" as the end of the year approached. Here's the trailer in case you've never seen it. In this film, an author is writing a book and through some strange twist of fate, her main character is actually a living person and can hear her narrating his life. Obviously, her decisions about his life matter very much indeed to him! For this option you can show this film and then ask your students to write a paper, record a podcast, or create a video on the theme of why literature matters. For Harold Crick, literature is life or death. What is it for the rest of us? Why do we read? Lay out clear parameters as to how many of the year's texts the final product should reference. On the day of the final exam, let students present their work in rotating partners. Have everyone find a partner and share what they have come up with. Whenever they are done they can drift on to the next partner. Circulate with them and let it go on for as long as it is interesting and useful. Then collect the work and wish them well. Jennifer Gonzalez recently did a podcast I really enjoyed on Curation Assignments. Though I've long been familiar with the idea of doing a museum exhibition on a subject, I like the new directions she took curation. There are so many ways you could have students curate the year - students could design a website featuring the best works from the curriculum around a theme of their choosing with related images, sound, video, etc., design a virtual art show of works related to the texts you have studied, record a podcast including critical quotations and related research surrounding an important thread from the year, etc. The museum exhibit is always an option! This type of final assessment can then be showcased during the final exam period. Gaming seems to be taking over the world. One walk through a boys' dorm at my boarding school can attest to this. Give students the opportunity to turn your course into a video game for their final exam. Perhaps each text is a level they create. Perhaps the major conflicts from the works you have studied become the challenges faced by the hero. Perhaps each game world is about emulating the narrative style of each work studied. Give students a lot of examples and then give them a lot of freedom. Just be sure to set out specific guidelines for connecting their games to their studies, so they know they must use their games to show their thorough knowledge of the work you have done together. I would definitely create the rubric in advance so they have it as they work. Netflix impressively brought history to life with "The Crown" this year. Why not move on to a literature series next? Have students create a pitch for a Netflix series that would feature the stories you have studied in your course. 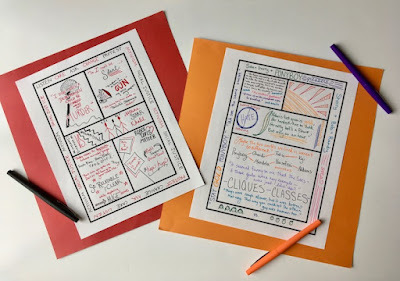 The pitch must center around a theme or two that could capture the hearts of the world and then show how each text could be brought to dramatic life to highlight that theme. Students can imagine the settings, main characters, directors, etc. to the extent that you think is interesting and helpful. Some will love including details like these, others may wish to focus solely on the textual explication. Give them some room to maneuver, as long as they prove their understanding of the coursework. 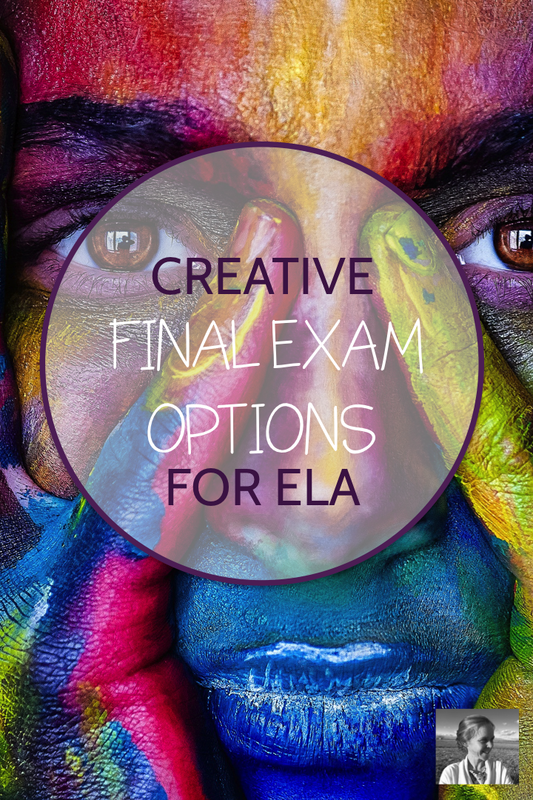 Whenever I have the option, I abandon traditional final exams in favor of a creative option. I've never regretted it yet!